Stays hot/cold for up to 60 minutes - maintains temperature 2x longer than leading reusable hot/cold brand. Heats in the microwave or cools in the freezer. 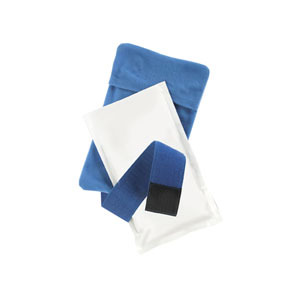 Soft cover with integrated elastic strap to hold pad in place.